If you have pets, you know nothing can beat their unconditional love. But you’ve also probably experienced days when your animal’s antics or the burden of their care felt a bit overwhelming. A new poll has evaluated the pros and cons of pet ownership, specifically looking at how it affects older adults. Here’s what it found. 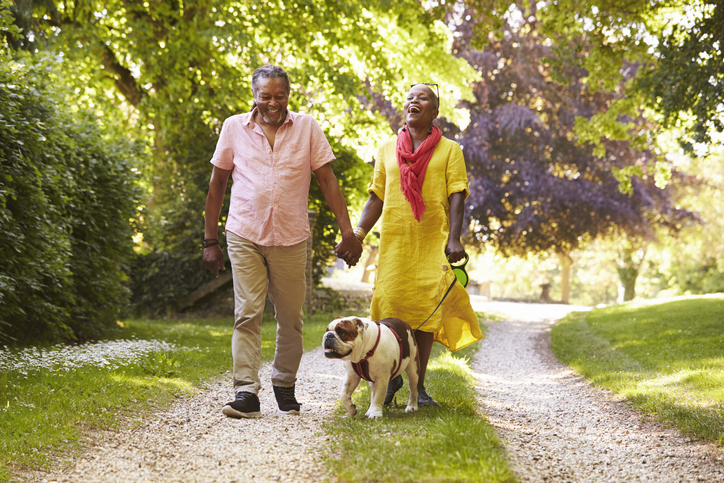 The University of Michigan Institute for Healthcare Policy and Innovation — with sponsorship from AARP and Michigan Medicine — recently conducted a national poll of adults age 50 to 80 regarding pet ownership. It aimed to discover their “reasons for having — or not having — pets, and the benefits and challenges of owning a pet,” the report says. 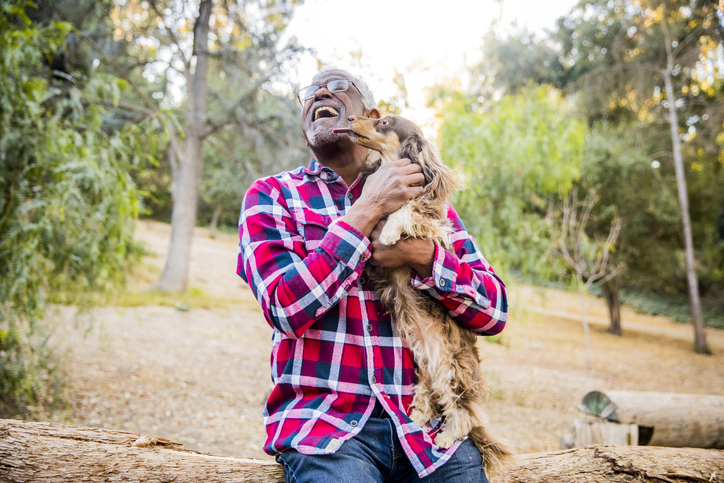 According to the poll, which was conducted in October 2018, 55 percent of older adults were pet parents. And more than half of them reported having more than one animal. Roughly 68 percent had dogs, 48 percent had cats and 16 percent had a small animal, such as a bird, hamster or fish. In comparison, about 36.5 percent of U.S. households overall have dogs, and 30.4 percent have cats, according to 2012 U.S. Pet Ownership and Demographics data. Moreover, the younger portion of the poll respondents, adults age 50 to 64, were more likely to have a pet than those age 65 to 80. And out of all the pet parents, 80 percent said other people helped them care for their animals. 79 percent of the respondents said their pets helped to reduce stress in their lives. 73 percent said their pets provided them with a sense of purpose. 65 percent had an easier time connecting with other people thanks to their pets. 64 percent overall (and 78 percent of dog owners) said their pets motivated them to be physically active. 62 percent said having a pet helped them stick to a routine. 60 percent said their pets helped them manage physical and emotional issues. 53 percent reported sharing their beds with their pets. 34 percent said their pets helped to distract them from pain. More specifically, almost three-quarters of the pet parents who lived alone and/or reported being in fair or poor health said their pets helped them cope with any physical or emotional symptoms. Plus, around 43 percent of the people who lived alone and 46 percent of those in fair or poor health said their animals prompted them to take their minds off any pain. Even though the older adults in the poll reported many positives of being pet parents, life with their animals wasn’t always happy tail wags. 54 percent said their pets made it hard for them to travel or take part in other activities outside of their homes. 18 percent said caring for their pets put a strain on their household budget. 15 percent said they would prioritize their pet’s health over their own. 6 percent said they had sustained injuries because of their pets, such as tripping over their animal and falling. Interestingly, the pet owners who lived alone and/or reported being in fair or poor health were more likely to put the health and well-being of their animals over their own. 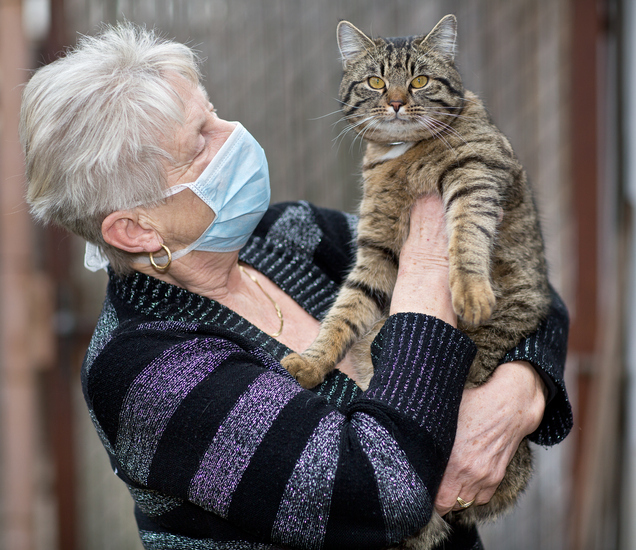 So in that regard, pets could play a part in worsening health issues for their humans. So do pets contribute to healthy aging? More than half of the poll respondents who had pets said the main reason they got their animals was because they wanted the companionship, according to the report. And roughly 1 in 5 said their main reason was the fact that the animal needed a home. But there also were some very valid points for not wanting pets from the people polled who didn’t have any. The most common explanation from 42 percent of the respondents was that they didn’t want to be tied down. Plus, 23 percent cited cost as a factor while 20 percent said they wouldn’t have enough time to care for an animal. Roughly 16 percent said they couldn’t have animals because of their own allergies or those of another household member. And 19 percent of the respondents simply weren’t interested in having pets. 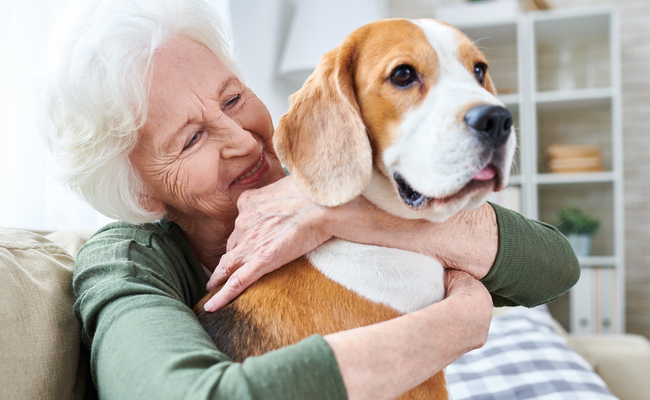 So do the benefits of pet ownership outweigh the challenges for the older adults who want to share their homes with animals? It sure seems like it — with some caveats. But it’s still critical for adults to consider how their lives might change as they get older — and whether they still could responsibly care for their animals. Even if a pet isn’t right for your household, you still can enjoy the benefits of animals in other ways. Volunteer at your local animal shelter. Find out whether there are any pet therapy programs near you that allow you to spend time with animals. Or simply offer to take care of a friend or family member’s pet. Whatever you decide, having a pet in your life should be enriching for both you and the animal. I now live with my brother and his wife (I just turned 85) and their labrador, Brisa, is my best friend.